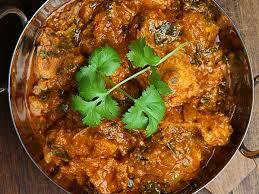 Chettinad Chicken Masala | Retired? No one told me! 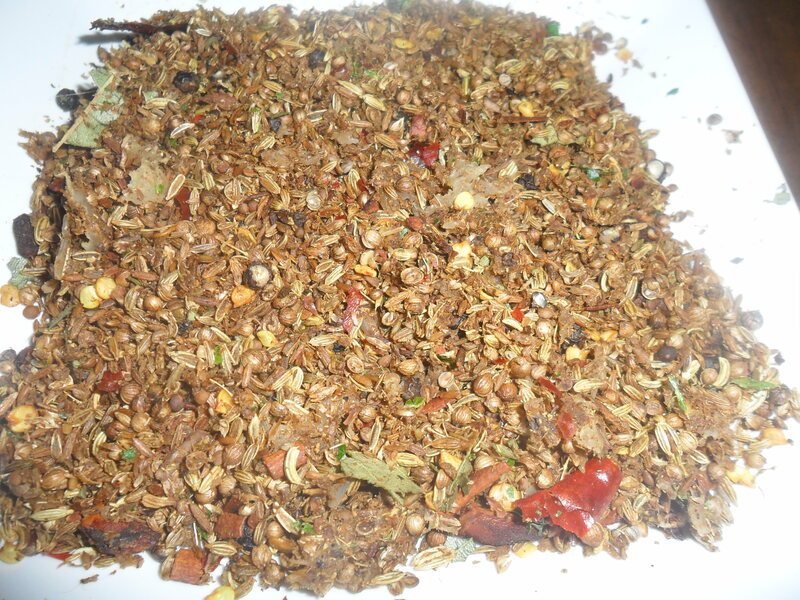 I made this curry today inspired by Madraasi @ a Tamilian Tales and her recipe for Chettinad Masala Powder or paste Click Here for the recipe. This inspired me to make this Chicken Masala. 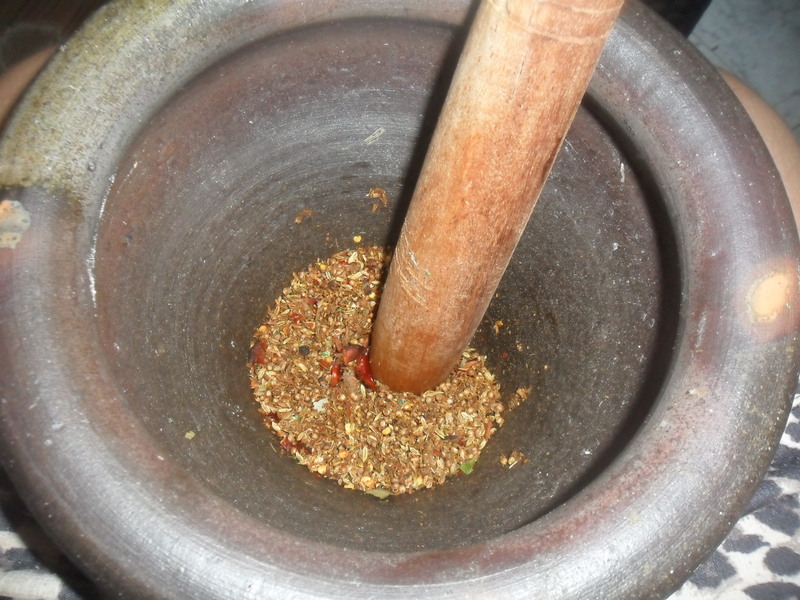 Firstly it was time to make the powder , the roasting of the spices was fine but the grinding ..I now have aching arms but a wonderful smelling kitchen. Now to the recipe for the Chicken Masala. 4 garlic cloves chopped finely. 1in piece fresh ginger chopped finely. 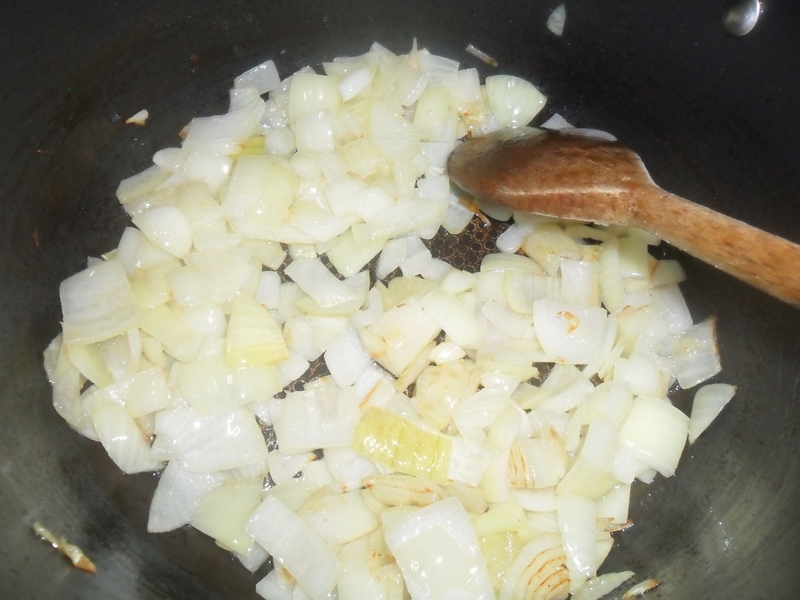 Add oil to pan and cook onions until golden, this add more flavour. 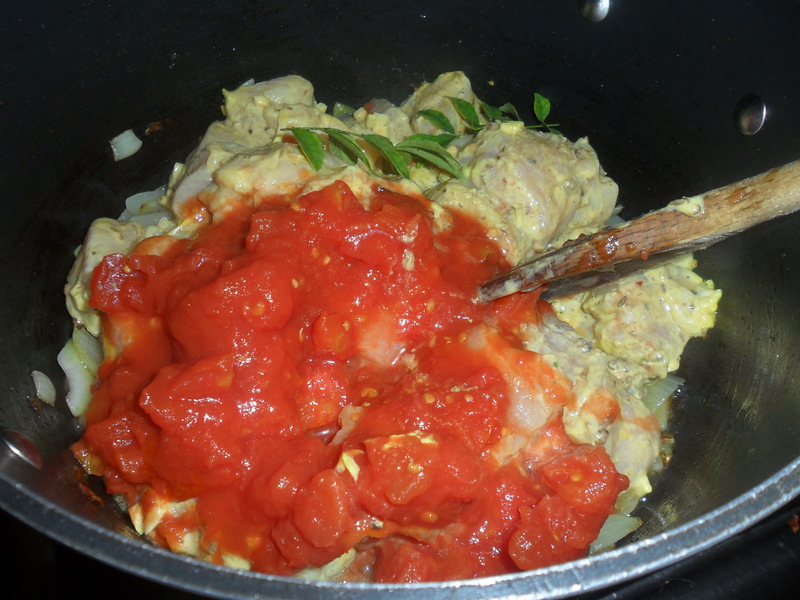 Add chicken, curry leaves and tomatoes. Add little water, bring to slow boil and reduce heat to simmer until chicken cooked. Serve with boiled rice, Mango Chutney and or nan bread. This is a lovely curry well-flavoured and not over the top spicy. Serve with Nan bread or mango chutney and boiled rice. 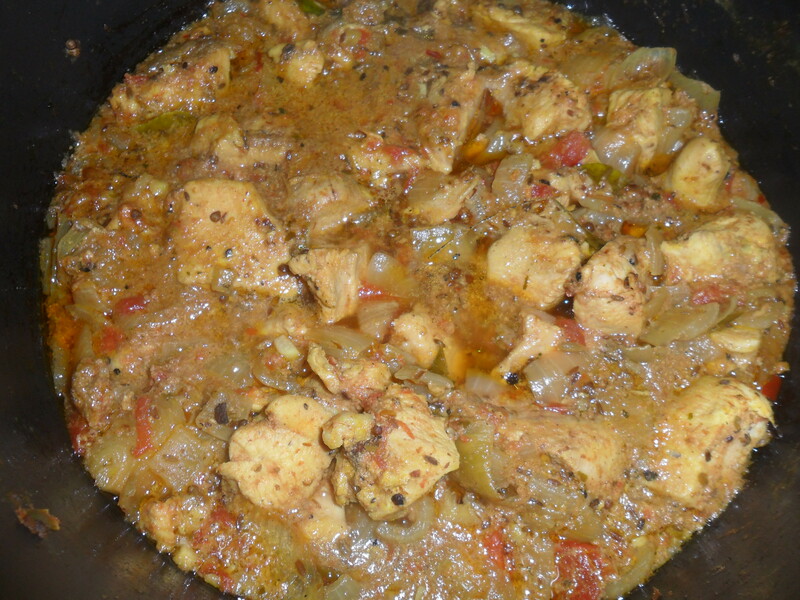 This entry was posted in Chattinad Chicken Curry, Recipes, Uncatagorised and tagged Chattinad Chicken Curry, Food, Recipes, uncatagorised on March 24, 2016 by CarolCooks2. 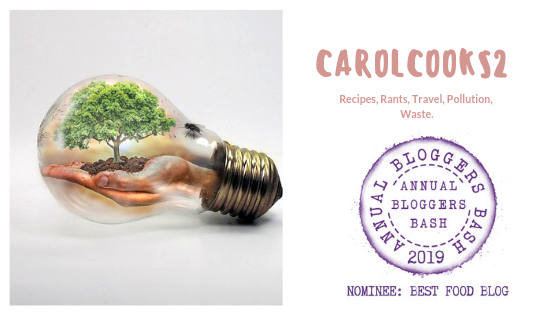 Pingback: CarolCooks2…Week One… Join me in my kitchen… | Retired? No one told me! I am a big fan of this dish. I treat myself to this every 4-6 months. Your presentation looks marvelous. What would I need more than this? I am happy that my efforts are getting more and more encouraged by people like you. Those peppers look hot 😀 But the result looks delicious. (I know you said it wasn’t over the top. My tummy doesn’t like it nearly as much as my taste buds love it. 😉 ) Hugs. It actually wasn’t so you may be ok with this one..Thank you for you visit:) Hugs. Wow this looks so yummy and sounds amazing! Thanks for sharing! Wow that is so nice!